ECO WARRIOR 08. KILIII YÜYAN. I am descended from a Siberian Native culture where the salmon, black bears, killer whales are considered our ancestors. I am Chinese-American. I also wear the hat of ambassador between mainstream culture and global indigenous communities. What you do, in your own terms? How has your life influenced your activism? I am a documentary photographer and a Native storyteller. My work is to put an indigenous lens in front of media that mainstream society sees. I want people to be exposed to different and powerful worldviews. My activism is almost just an extension of my life. I grew up between three cultures— Chinese, Nanai (Siberian Native) and American. Even so, my parents often left my brother and I in the care of my Nanai grandmother or by ourselves, so we mostly never felt that our unique upbringing was not normal. By college, though, I was constantly being reminded my worldview was not mainstream. Instead of just trying to fit in, I instinctually spent my twenties visiting indigenous communities and practicing wilderness survival. The values I felt in those communities all over the world just developed and reinforced my worldview from childhood. My grandmother had instilled in me a deep sense of belonging to the the land, primarily through stories of her culture. It took me a long while to realize that most people did not see the forests and the rivers as the center of their worlds. People did not even know that indigenous communities still existed. So once I became a documentary photographer and discovered the power of the medium, I began to tell the stories of what was important to me— the land and its First Peoples. I’m based out of Seattle, WA. Which is the gateway to the Arctic and the North. Tell us about your work?. What initiatives do you support? I primarily photograph stories about indigenous peoples and the human relationship to the land. That means I am a champion for both wilderness and the cultures that closely in concert with it. I support social justice and environmental issues, and a lot of the places they intersect. 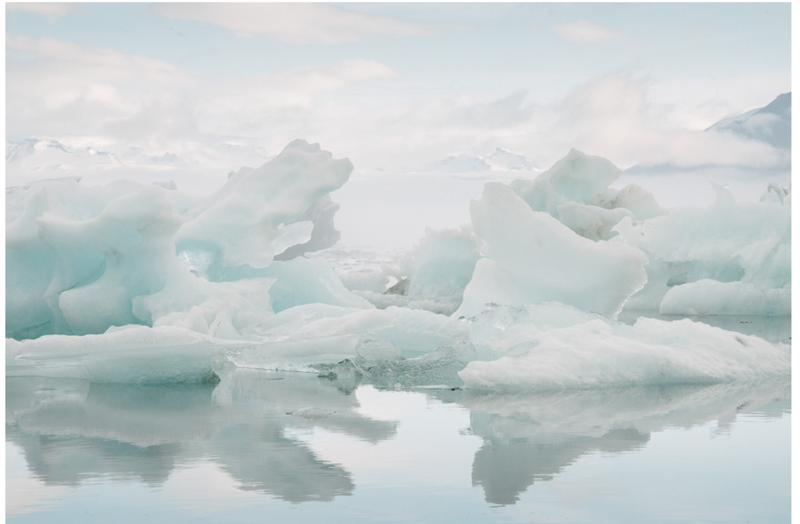 For instance, climate change is a huge problem for indigenous cultures of the Arctic. So I am an advocate for Native solutions to climate change, such as protecting land rights of tribes in the Amazon. The tribes protect the Amazon from deforestation, which results in more carbon being locked in trees, rather than being released into the atmosphere. It seems like a small thing at first, but in truth it’s huge— Indigenous peoples occupy the majority of the world’s conservation areas and are typically the de-facto defenders of it. Yet many old-school conservationists work to create parks and remove the people living there, not understanding that it creates a death sentence for that land in the long run, because mining and oil interests can find their way around every obstacle except people living on the land itself. What is the achievement of yours that you are most proud of? The biggest hurdle that you have overcome? I am most proud of speaking at the National Geographic Photography Seminar this year about my work with the Iñupiaq (native Alaskan people) and issues of indigenous identity. The audience at the seminar are some of the most educated and influential journalists working for the most powerful media brand on earth. It was an amazing opportunity to help them see the world through the indigenous lens. My biggest hurdle was to keep going in the beginning of my documentary photography career. My first story for the National Geographic was never published and it seemed that it had been completely dropped for several years. Ultimately I realized that I was going to be doing the work no matter what, that it was important to me regardless of publication— and it was, two years later. An iceberg in IIulissat, Greenland’s famous Ice Fjord. A Small Voice Podcast- an amazing podcast with interviews with the hardest-hitting photojournalists. Nanook from Greenland- a terrific indigenous band from Greenland, singing about issues of Greenlandic independence and other activist issues. The Minimalists Podcast- lots of in-depth talk about simplifying and reducing one’s materialism in America, where expansion has always been the culture. Building traditional indigenous kayaks with my partner Addie, or eating Sichuan food in Seattle. I think it’s hard but essential to avoid divisiveness. I don’t mean you need to tone down the power of your ideas, but hone the craft of your words and communication. Listen to others and search for mutual solutions. Do right, don’t be right. What do you want people to take away from your work? What impact do you intend to have on people? I have two audiences— the first is the people in the communities I photograph. I want youth of these communities to see my work and see themselves in it— to know that being Native is something to be proud of, and recognize the power of tradition and culture. For the other audience, my work is an attempt to expose people to an indigenous point of view, and to introduce mainstream society to indigenous issues like land rights and tribal sovereignty. What, do you think, is the most immediate problem we need to take action against? Climate change. It’s the one problem that has a hard deadline. I know we can adapt but the longer we ignore the problem the more devastating it will be. On a slightly larger scale, I think in general, the environment is the most pressing set of issues for our generation, more than humanitarian and social issues. The environment is the sole issue that looks much worse than it did 50 years ago. Indigenous issues are conservation issues because, quite frankly, Native Peoples are the de-facto guardians of biodiversity on this planet. 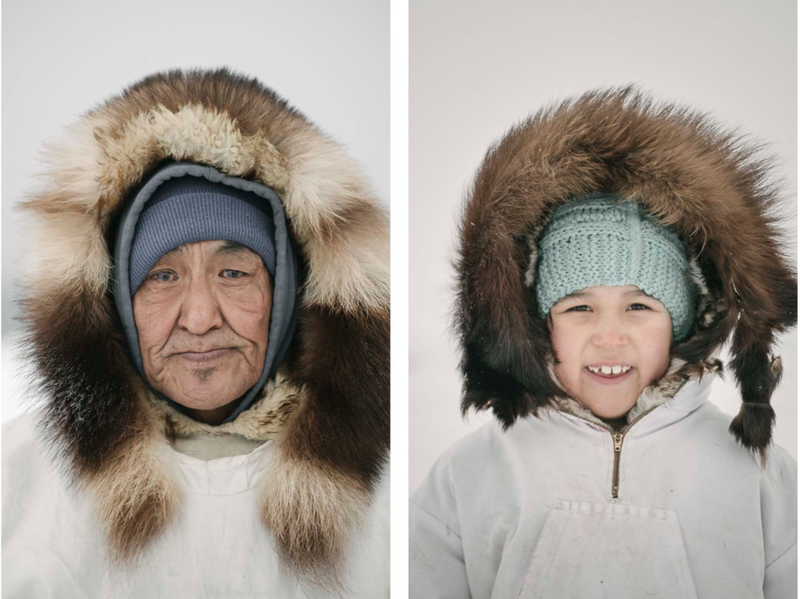 On the left, Raleigh Kowunna, an Iñupiaq elder, wears his traditional ice camouflauge parka. On the right, Siana Reich, daughter of whaling captain Inugurak Reich. Why do you think it is important to shed light on the relationships between humans and the natural world? As the population becomes increasingly urban, we are becoming also increasingly disconnected from the natural world that actually supports our lives. We are human beings, and that means we need to drink water and eat food. That water and food come from the land, and as many of us forget our relationship to the land, we are neglecting the foundations of our lives. It’s not much more than a buzzword now. I think it should mean something like regenerative for 7 generations, or 200 years. How did you educate yourself about environmental issues? I’m an avid reader and have a real lust for the input of information. So I listen to podcasts, read books and journalism, and talk to lots of people everywhere I travel. Also, as a journalist, I often email and connect with experts in particular fields to learn more. I have a huge appreciation for the work of Brent Stirton, who is a photographer working on the conservation issues surrounding elephant ivory, rhino horn, and more. His approach and nuance are great because it shines a light on how global conservation issues are, and how they are really social problems. 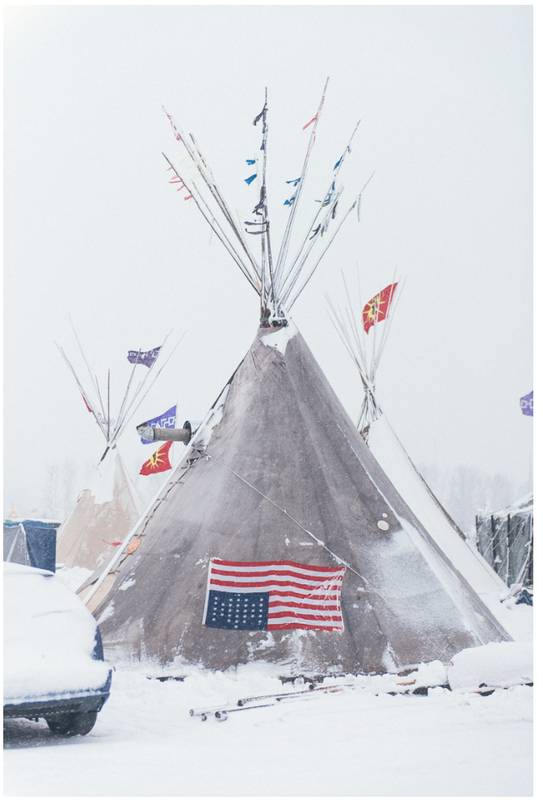 After seeing your photographs on your website, it is evident that children are living in communities like the Pine Ridge Reservation. How do you think children growing up in this type of environment differ than those who grow in a technologically-based, modern society? Is one “home” better than the other for these developing minds and bodies? I think it’s a misconception to imagine that children in Pine Ridge are not living in a technological and modern society— they are surrounded by smartphones and televisions. But I do think you’re right that the way children are raised on reservations is different. Kids in reservations get much more social and family time, more free play outdoors. Those are certainly all excellent things for child development, encouraging creativity and social skills. On the other hand, the poverty of many families on the reservation is a big disadvantage for them. Auroral Vortex, Iceland. From a series called Islandia. At this very moment in time, what is your goal? What are you striving towards right now?It’s one idea at a time for me, even though the themes I work on are often quite big and ambitious. Right now I’m focused on helping the conservation world realize that the best thing they can do to protect the land is to empower the Native people that live on it. There’s so much traditional knowledge and vested interest there. As a photographer and journalist, I have the opportunity to reach many people in a way that helps them see the world differently. A nuanced worldview is ultimately so important for political action. Are you that person (an eco warrior) for anyone? Perhaps someone younger in age who you pass your wisdom and findings onto? I think I am an influencer for most of the people in my life, because my world is so deeply wrapped in it. I do mentor younger photographers, but that’s not issue-specific. Instead I work to help them achieve their own visions in the world. My mission is…to see the world through the wisdom of the elders. An iceberg in IIulissat, Greenland.